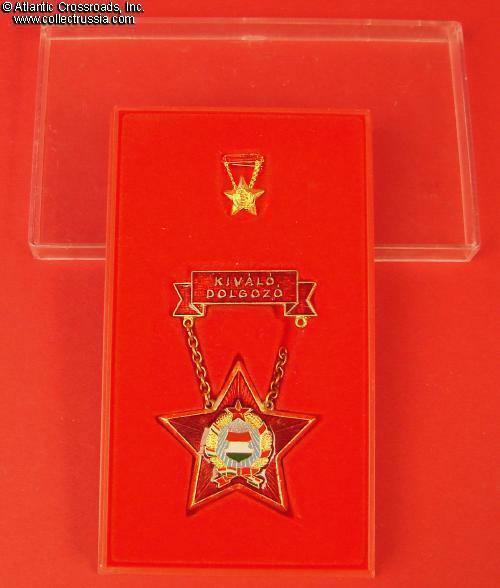 Excellent Worker (Kivalo Dolgozo) badge, Type 4, with original issue box and miniature badge, late 1970s - 1980s. 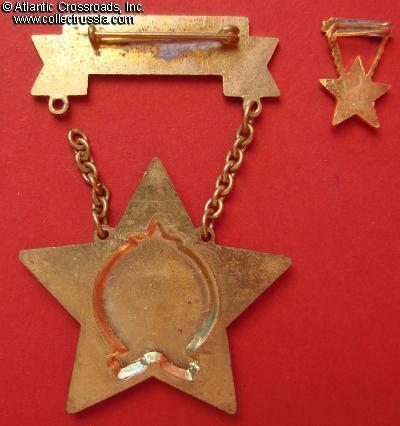 The star pendant is in brass and "cold" enamel, single-piece construction with relief reverse. 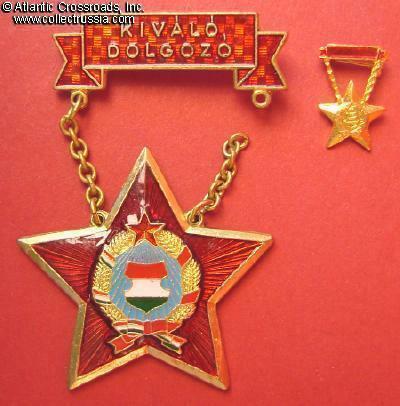 Comes with single-piece miniature badge in gilded brass and paint, to wear on lapel. 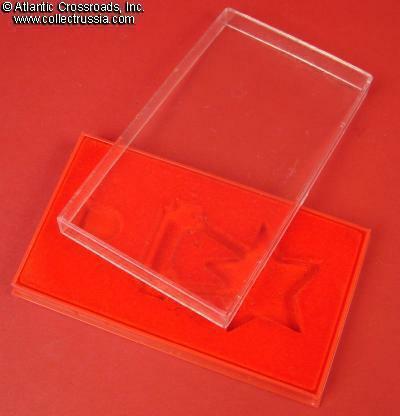 Includes original fitted plastic box with translucent lid and velvet pad having fitted nests for the badge and the miniature. Few links of the chain are missing. All items are in excellent condition otherwise.